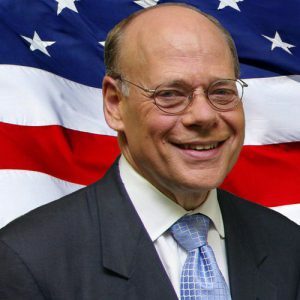 Rep. Steve Cohen was elected as Tennessee’s first Jewish congressman in 2006. Before representing the 9th Congressional District, Cohen served in the Tennessee State Senate for over 20 years, and his family has lived in Memphis for four generations. A lifelong progressive, Steve is a proud member of the Congressional Progressive Caucus (CPC). He has consistently resisted bigotry and hate in the Trump era by skipping the inauguration due to “un-presidential remarks” and in 2017, he introduced 5 articles of impeachment against Trump. He serves on the Judiciary, Transportation & Infrastructure, and Science, Space, and Technology Committees.